George Tabor Starr, 73 of Auburn, WA entered into rest on November 14, 2018. George was best known by everyone as “Rabbit”. Rabbit was born February 27, 1945 to George and Leona Goudy Starr. 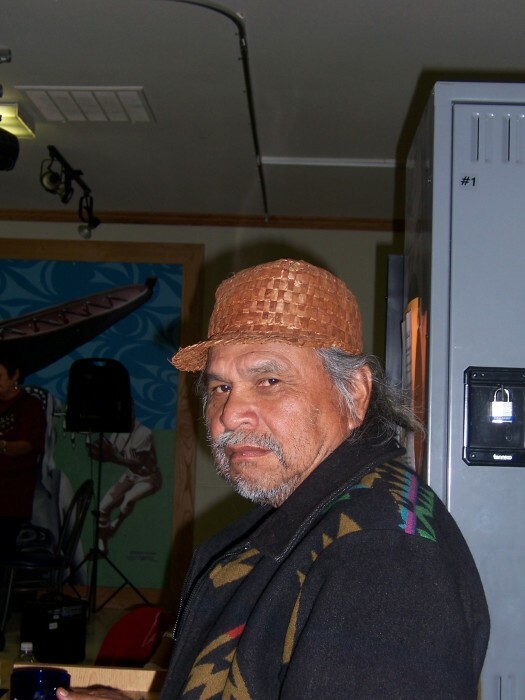 He was an enrolled Muckleshoot Tribal Member and descendant of the Yakama Nation. Rabbit entered into the United States Army in 1963 and was a part of the First Airborne Division. After being honorably discharged, Rabbit returned home to Muckleshoot and worked as a logger until he started working for the Muckleshoot Indian Tribe in the Recreation Department. Rabbit was instrumental in mentoring the youth in basketball, baseball and softball. Rabbit coached teams and participated in tournaments throughout Indian Country in Washington, Oregon and Idaho. Overall Rabbit worked 30+ years with the Muckleshoot Indian Tribe as the Recreation Director. When not being “coach”, Rabbit enjoyed being in the outdoors - in the mountains hunting or picking huckleberries or at the river salmon fishing. Rabbit is survived by his loving family: brothers- Mike, Alfred, “Bobe” and Jack Starr all of Auburn, WA; sisters-“Dutchie” and Earnestine Starr all of Auburn, WA and Regina “Titter” Howell of Toppenish; stepsons: James Arms and Julius Arms, Sr., foster children: Jeremy James, Roy Moreno, Faith Minthorn and Jessica “Missy” Henderson; grandchildren – Julianna, Julius Jr. Arms, Thomas, Ezrayah and Chandler Nelson and many cousins, nephews, nieces, family and friends. Rabbit was preceded in death by his parents, brothers Martin “Bear” and Melvin “Tuffy” Starr, grandparents Apas and Amy Goudy; Uncles Herman Goudy, Norman “Jiggs” Starr, Apas “JR” Goudy and Aunt Regina Webber; and his wife Diane Ross. On Sunday, November 18 body will depart Weeks Funeral Home in Buckley at 9am for Muckleshoot Indian Shaker Church. Upon arrival to Muckleshoot Indian Shaker Church, candlelight service will be conducted. Body will remain overnight at church for wake. Funeral services and viewing on Monday, November 19 starting at 8am at Muckleshoot Shaker Church. Interment will follow at Old White Lake Cemetery in Auburn, WA.